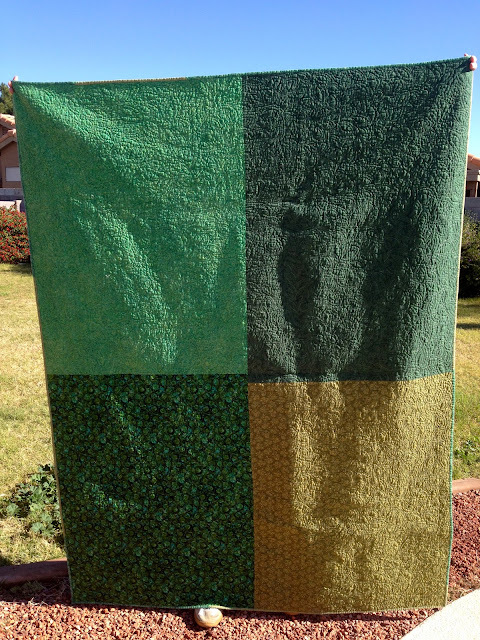 Sandra Kaye: A Finished Quilt!!! So pretty! Reminds me of a Bento Box but not quite the same. Lovely quilting as well! Wow! That's a lot of quilting! would be so fun to have a machine for quilting! Fabulous quilt Sandie. 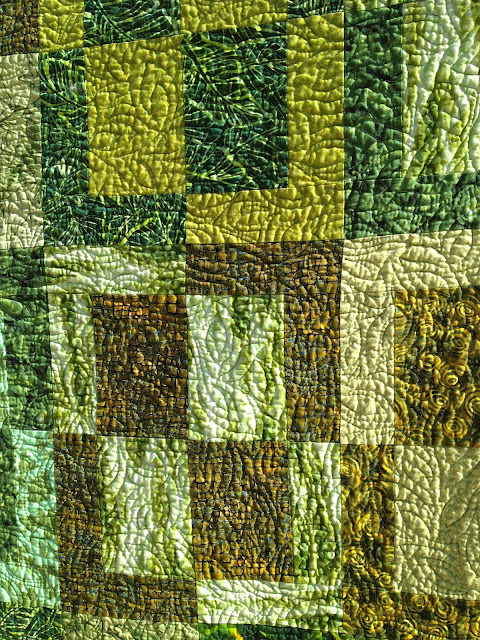 I love your quilting - its great! Beautiful quilt! 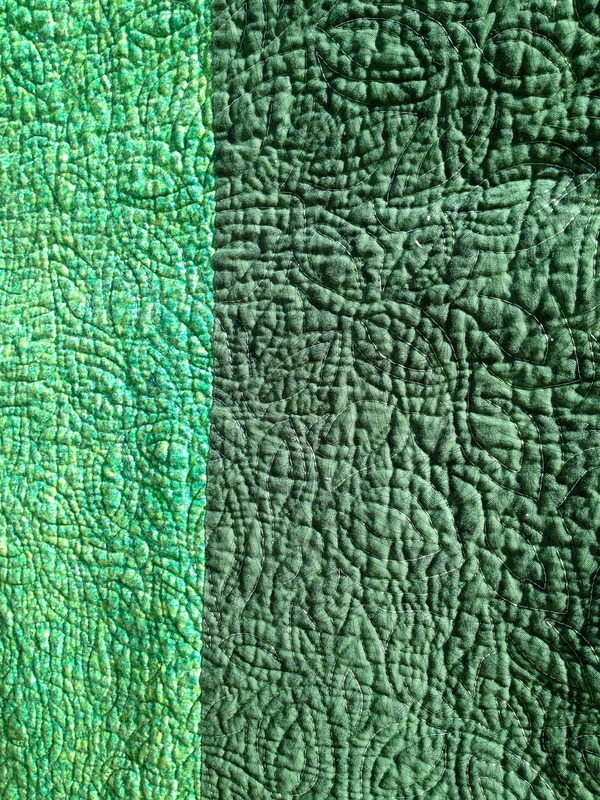 Love the free motion quilting. Beautiful quilt and superb quilting! Love your pieced backing...such fun! And a pretty quilt it is! Nicely done. very nice-love the quilting pattern you used. 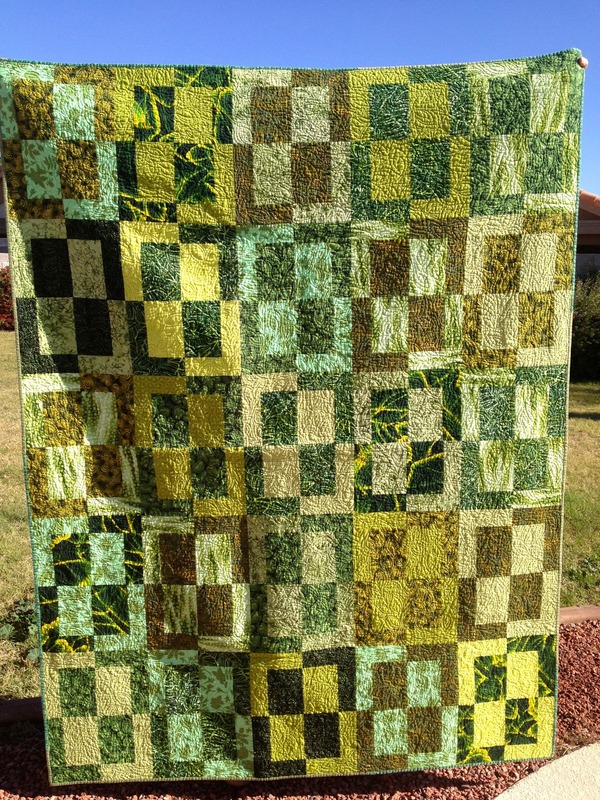 Your quilting is gorgeous and I love all those wonderful greens! Well well! Look who I found out in the cyber world! It looks like you have bloomed out there in the desert. Your blog is great, Sandy, as is your work. Looking forward to following along. I'll have to find out more about The Big Heap: maybe it will be one of my stops on my next cross country journey in the spring. BEAUTIFUL! Taking a machine quilting class starting Saturday. Cannot wait to be as awesome as you are! Thanks for sharing your beautiful quilt!